In October of 2014, Prime Minister Narendra Modi instructed the Ministry of New and Renewable Energy (MNRE) to come up with an action plan to build renewable power capacity up to 200 Gigawatts by the year 2022. The previous target of 20 GW for Solar power projects and installations was raised to 100 GW as a result. To put these numbers in perspective, the cumulative electricity generation capacity in India is less than 250 GW and the installed solar capacity is less than 3 GW. Meeting the 100 GW solar power target alone is estimated to require an investment of Rs 7,70,00 crore (or $125 billion) in the next seven years. In February, MNRE and IREDA conducted a three-day event, RE-Invest India, to get foreign investors and project developers to commit to this target. The event was hugely successful – the valedictory session with Union Ministers Goyal, Jaitley, Prabhu and Javdekar ran to a packed house. More importantly, commitments to fund and build capacity exceeding the target were handed over to the Prime Minister via this event. Apart from structural changes in the overall power sector, several small but crucial steps are needed for this non-linear, inorganic renewable energy aspiration and ambitious commitments to be made a reality. It is time to recognize Renewable Energy as being a part of the Infrastructure sector, and accord to it the benefits of being designated a Priority Lending Sector, to ease access to capital via mainstream banks, and to provide agencies like IREDA, SIDBI and NABARD with clarity on funding in this sector. Also, allocation of funds to the Renewable Energy sector is needed, as separately earmarked and distinct from merely allocating funds to Power. Finance Minister Arun Jaitley’s Union Budget did neither. Not only he did not recognise the industry and its needs, the minister cut the money allocated to renewable energy sector to a mere Rs 303 crore from over Rs 550 crore in the last budget. The current mechanism of accelerated depreciation for Solar projects is renewed annually, lacks policy clarity and fails to cover residential rooftops. Similarly, the administrative decision to not notify the Solar anti-dumping plan leaves the policy uncertainty door open. The Union Budget was an opportunity for the Finance Minister to address this deficit by institutionalizing the accelerated depreciation benefit and giving clear direction on anti-dumping for this sector. This opportunity went a-begging. 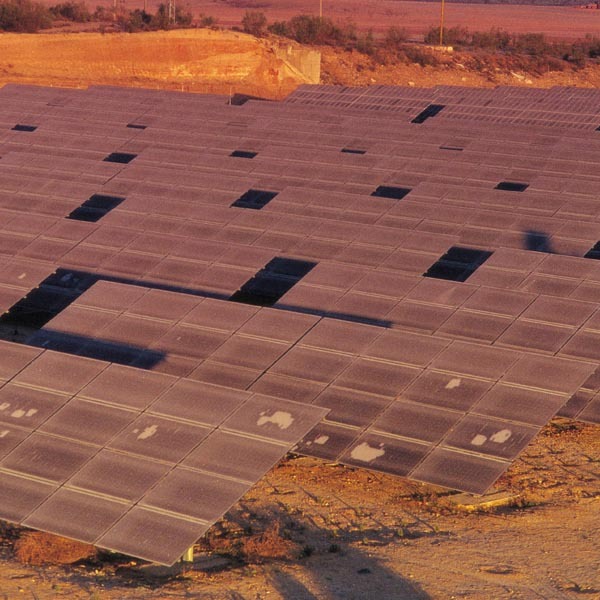 Despite the success of some companies to come up with self-sustaining, profitable business models in solar energy, notably in off-grid solar with anchor telecom loads, the majority of the industry still requires viability gap funding for the next few years until input costs, evacuation costs and wheeling charges come down by half. The encouraging news is that the cost of solar energy comes down by 20% with each doubling in production/installed capacity, so the journey from 3 GW to 100 GW should accelerate continuously. The not so good news is that the budget completely ignored the fact that, at least for the initial 20 GW or so, some funding is needed. The Union Budget should have provisioned for viability gap funding, perhaps with a sunset horizon built in. No such provision was made. Renewable energy developers and companies are given exemptions from Central Excise Duty while purchasing material and equipment. The same benefit is not accorded to manufacturers of equipment, especially inverters and charge controllers used in solar projects. The excise duty paid for procurement of material and goods that are used in the manufacturing of these equipment adds cost to the overall industry. The subsumption of Edu Cess into the CET to bring it upto 14% does not help either. In a larger context, the solar industry would be more attractive if it enjoyed the same benefits that were accorded to the wind energy sector from its early days till about 10 years ago. Perhaps, the the interest shown in Re-Invest India was sufficient testament to the attractiveness of the sector. The Finance Ministry does appear to have made that assumption. Hon’ble Finance Minister was justifiably proud when he announced the allocation of 100,000 crore rupees for setting up five conventional/nuclear ULPPs of 4000 MW each. The Sabka Budget was virtually seeking a balance at the other end with a smaller commitment to distributed off-grid generation. This balance was left lacking in the Union Budget. So what exactly did Finance Minister Arun Jaitley’s Union Budget do for the Renewable Energy sector? Hon’ble FM mentioned Off-Grid once in relation to energy access, and Green Development once. Subsequently, the FM laid down the target of 175,000 MW (175 GW) renewable energy capacity for 2022, broken down into Solar (100 GW), Wind (60 GW), Biomass (10 GW) and Micro-Hydel (5 GW). The current clean energy cess on coal mining was increased from Rs. 100 per MT to Rs. 200 per MT of coal mined, to “finance clean energy initiatives.” The revenue from this cess is directly proportional to the amount of coal mined, and there is lack of clarity on whether this money would go to the MNRE, or to the Environment ministry (which fared badly in this budget). The only reasonable explanation is that the Finance Ministry is convinced that the commitments made by the private sector towards meeting the 2022 renewable energy goals are achievable without any specific changes to power sector structure, easing of access to capital, taxation, or even much-needed policy clarity. If it pays off, the Hon’ble Finance Minister’s courageous strategy will be brilliant in retrospect.